Australians love to travel by road. It gives us flexibility when travelling and takes advantage of our large system of roads and highways. I have owned many cars and motorcycles throughout my life, so travelling by road is something I have done a lot. I have been very lucky in that I have never been involved in a major traffic accident (touch wood – I hope that continues). Sadly, many people die in road accidents in Australia each year. Thankfully, the number of road deaths has been steadily decreasing over the last 40 years or so. Car safety has been an important contributor to that reduction. In this podcast I would like to tell you a little about car safety in Australia. In 2017, there were 1225 deaths on our roads in Australia. While this is obviously unacceptably high, the number of road deaths has actually been in decline in Australia over the last 40 years or so. This has occurred despite the population increasing and also despite the fact that the number of vehicles on the road has increased by around 300% over that time. Our number of road deaths per 100,000 people in 2017 was around 5.00. That means there were around 5 roads deaths for every 100,000 Australians. In 1975, this number was around 26 road deaths per 100,000 people. So we have improved a lot in the last 40 years and many lives have been saved. Of course, even one death is one too many. However, by world standards, Australia is one of the safest places to drive. In some parts of the world, annual road deaths of over 30 deaths per 100,000 people are commonly experienced. That’s more than 5 times the rate in Australia. By contrast, Sweden’s rate is 2.8 deaths per 100,000 people. So notwithstanding Australia’s low number, we can still do better. Our governments, both Federal and State, are constantly looking for ways to reduce our road toll. For example, our Federal government is responsible for new vehicle safety standards. 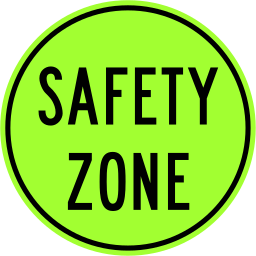 Cars, trucks and motorcycles have become increasingly safe over the years. I’m certain this is one of the things that has helped reduce the number of deaths on our roads. For example, our family car is a 2017 model and it has many safety features including 7 airbags, seat belt warnings, lane exit warnings, traction control, anti-skid brakes (ABS) and it warns you when you are too close to the vehicle in front. And they are just a few of the many safety features it has. I am continually amazed how smart and safe it is. My motorcycle also has ABS brakes, which I think is very important on a motorcycle, especially when riding in the rain. ABS stands for Anti-skid Braking System. It stops the wheels from locking up under hard braking, no matter how hard you press on the brake lever, even if the road is wet. If you lock up the front wheel during braking on a motorcycle, it’s crash time so ABS is essential in my view. It’s great to know that, from November 2019, the government has decided that all new motorcycles sold in Australia will need to have ABS fitted. That is an excellent decision that will save motorcyclists’ lives. As far as new cars are concerned, the most important safety information in Australia is the ANCAP safety rating. This rating is used on all new cars sold in Australia and New Zealand. Safety assistance features which help prevent a crash from occurring or which help in reducing the effects of a crash. Points are scored for each of these areas and they are used to calculate an overall Star Rating. If a car gets a 5 star ANCAP rating, then it is the best and safest car to choose. Anything less and the car is considered less safe. Obviously, older cars have lower ANCAP ratings. You can look up the ratings for all new cars, and some older cars, online at www.ancap.com.au. It is no wonder that car makers are very keen to get a 5 Star ANCAP rating for their new cars. Everybody wants to be safe in their new car. Getting a 5 Star ANCAP rating will help sell more cars in Australia. Car safety in the future is going to be more and more about advanced technology. You only have to watch the news to know that driverless cars will be common place in Australia and other developed countries around the world in the not too distant future. Personally, I hope that people will always to be able to drive if they want to, assuming they have the required skill. To me, to be able to drive, especially on a good country road, is really an enjoyable experience. Podcast 99 Quiz - Did you understand the podcast? True or False? – Australia’s death toll on the roads has been steadily decreasing over the last 40 years. True or False? – Rob thinks that the road toll in Australia is still too high. True or False? – The road toll in Australia has decreased over the last 40 years because there are fewer cars on the road. True or False? – In Australia in 2017, there were around 26 road deaths for every 100,000 people. True or False? – Sweden’s rate of road deaths per 100,000 people is about the same as Australia’s. True or False? – Rob’s current family car has around 7 safety features. True or False? – If a car has a 4 star ANCAP rating in Australia, it is one of the safest cars you can buy. True or False? – Protection of adults in a car and protection of pedestrians struck by a car are part of the ANCAP rating for new cars in Australia. True or False? – Car makers use a 5 star ANCAP rating to help sell more cars in Australia. True or False? – Rob thinks that the driverless cars of the future will not be very popular.